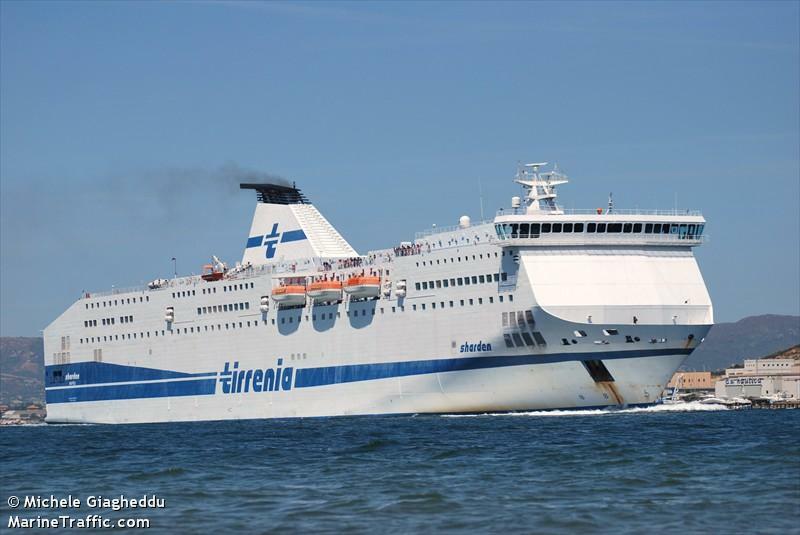 The 220 meter long, 7031 dwt ro-ro ferry Sharden allided with a pier while departing from Cititavecchia, Italy bound for Sardinia. 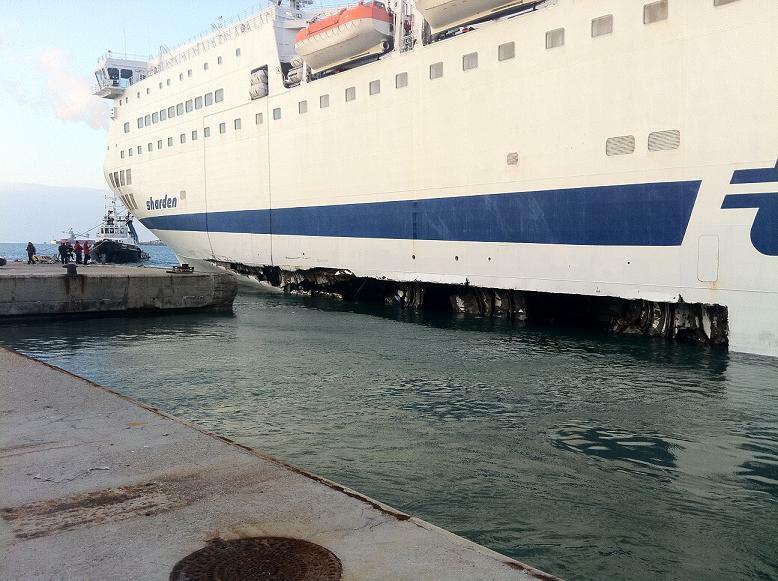 The ferry suffered damage to its hull with a 30 meter long gash just above the waterline. The allision was caused by strong winds. 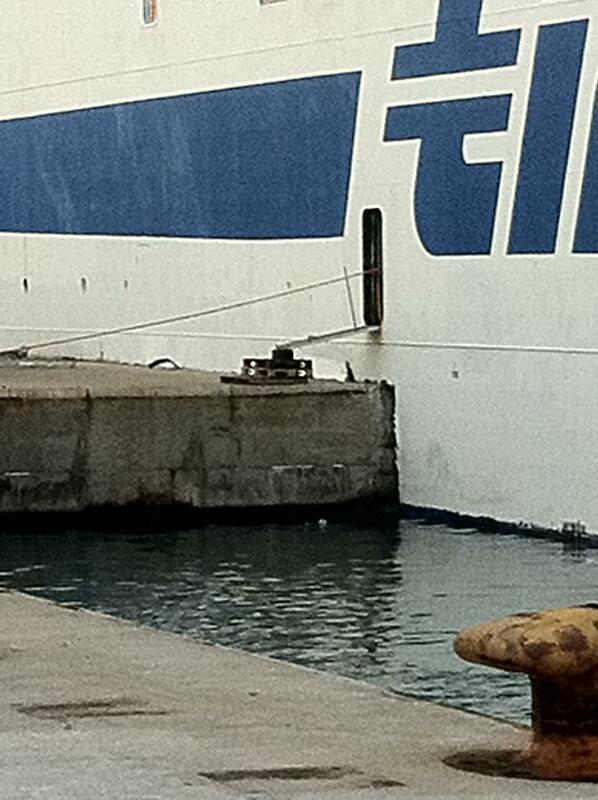 No reports of injuries to the 262 passengers or 53 crew on board. 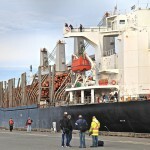 The Sharden returned to port with the assistance of two tugs. 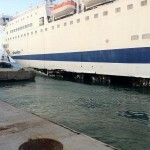 All passengers and vehicles were safely unloaded. 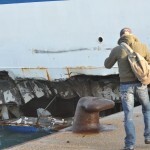 The Italian Coast Guard had started an investigation into the cause of the accident. No reports of pollution being released. 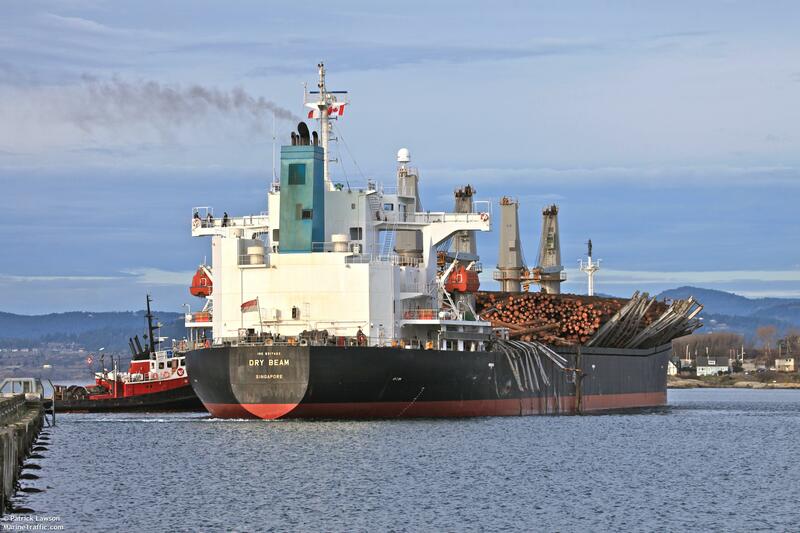 The 186 meter long, 46619 dwt bulk freighter Dry Beam became disabled in bad weather off Pudget Sound, Washington. 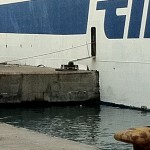 The freighter had lost stability in the storm that had 10 meter high waves. The vessel send out a distress call requesting assistance. 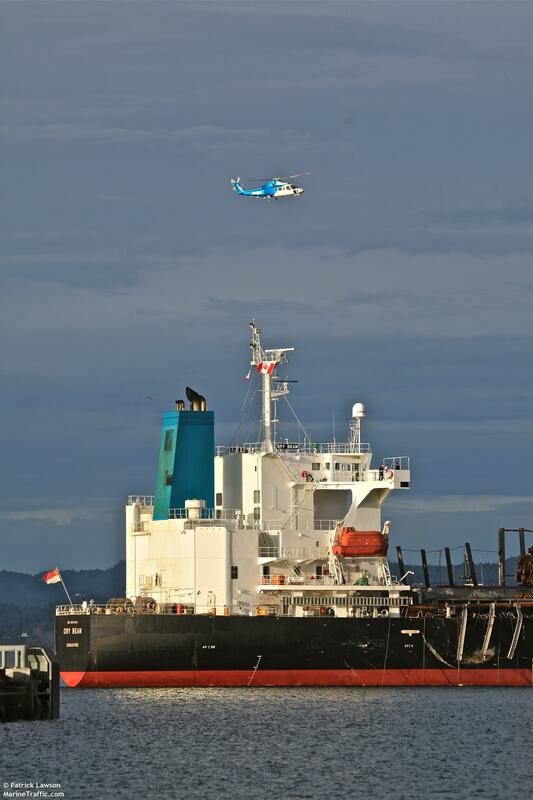 The Coast Guard dispatched an icebreaker to the scene. 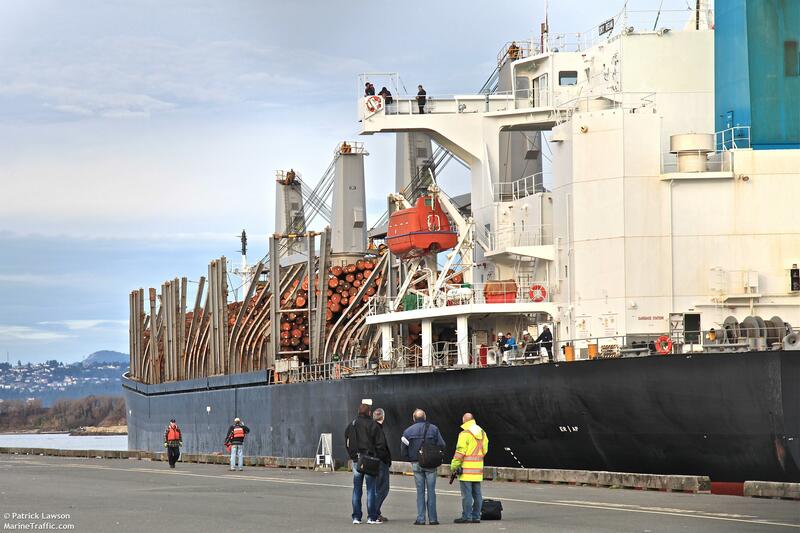 However, the crew was able to regain control of the vessel and turned the vessel aground back to Victoria, Canada. No reports of injuries. 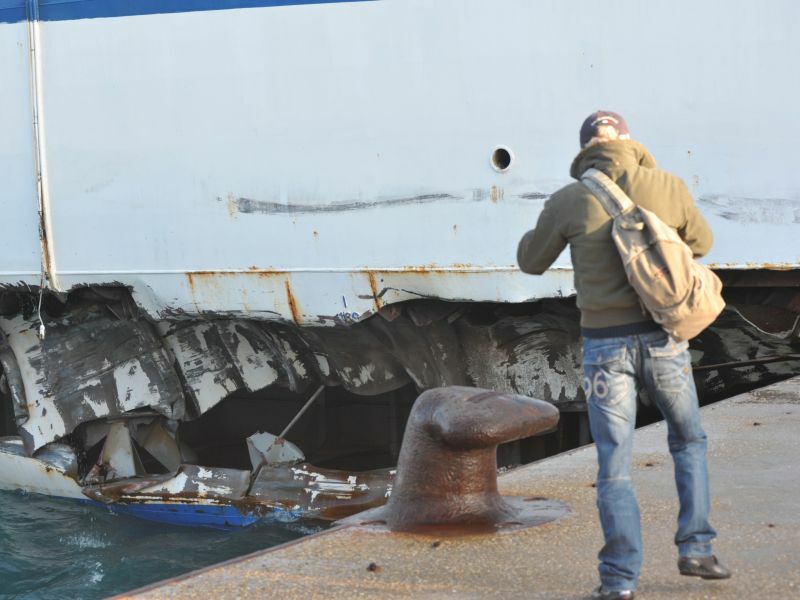 Photos of the vessel show some storm damage and most likely some cargo was lost overboard. 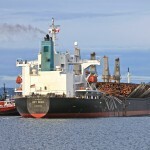 The Dry Beam had been en route to Japan with a cargo of logs before the incident. 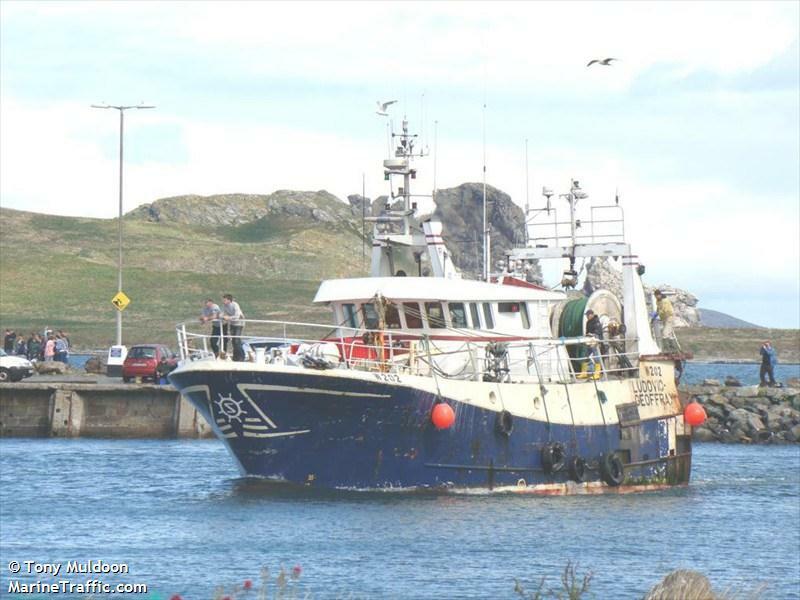 The 17 meter long trawler Ludovic Geoffray W202 became disabled after suffering water ingress while off Howth, Ireland. The trawler with seven crewmen on board contacted the RNLI who dispatched their all-weather lifeboat from Howth. The lifeboat reached the scene and took the trawler under tow. 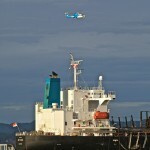 An Irish Coast Guard helicopter reached the scene and was able to winch down a dewatering pump to the Ludovic Geoffray. 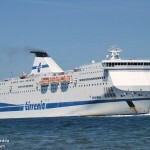 Weather conditions made the rescue effort difficult with force six winds and a three meter swell. The towline between the lifeboat and trawler parted several times, but both vessel were able to reach Howth harbour 10 hours later. No reports of injuries, damage or pollution being released.